Belarus and Russia tend to settle all major problems in the near future, President of Belarus Alexander Lukashenko told media after the negotiations with his Russian counterpart Dmitry Medvedev in Sochi on 27 August, BelTA has learnt from the presidential press service. “We will make rational decisions both in the economy and politics to address all acute problems between the two states,” Alexander Lukashenko said. “We have discussed all the issues I prepared for the joint consideration. They were very much like those prepared by Dmitry Medvedev,” the Belarusian leader said. The two presidents paid special attention to the Belarusian-Russian relations. “The problems we have are very unpleasant and unnecessary for our people and states, the problems which we could avoid but unfortunately did not do it. We have analyzed the situation and reached some decisions on the issue,” the Belarusian leader said. The two sides discussed the issues related to oil customs duties, allocation of a state loan, other financial issues as well as joint measures to overcome the consequences of the global financial crisis. “We have agreed the two governments will negotiate all moot points in September. The President of Russia has promised it. The relevant instructions will be immediately given to the prime ministers of the two countries. Dmitry Medvedev stated the problems are not easy, and there are a lot of them in the economy of Russia. At the same time he added: “We are ready to do everything possible for our brotherly country to help people and the economy”. Together we will be able to overcome the crisis much faster,” Alexander Lukashenko stressed. “We have also discussed the problems we faced in the export of Belarusian dairy products to Russia,” the President of Belarus noted. “To avoid any conflicts in the future we also need to settle the issue regarding quotas. There should not be quotas, duties or something else in our relations. We are forming the Customs Union. We should not have such problems at all,” Alexander Lukashenko believes. “We will also settle the issues related to the payment for natural gas. We will not have problems here either,” the President concluded. Belarus has never betrayed Russia and will never do it in the future, President of Belarus Alexander Lukashenko said in an interview to the Formula of Power TV show, a joint project of the Itar-Tass news agency and the Rossiya television channel, BelTA learnt from the presidential press service. Alexander Lukashenko underlined that Belarus remains a reliable partner of Russia. “Do not forget that Belarus is your only reliable strategic partner. It has always been this way,” the Belarusian head of state said. He stated with regret that the Russians do not know what really happens in Belarus. “The political elite of Russia has no idea what is going on in Belarus. They read biased newspaper articles written by people who hate Belarus and then say that Belarus veered to the west. You should better look for information in official sources, you’d better ask me in what direction Belarus is going: the west or the east,” the President said. Alexander Lukashenko gave an example: Vladimir Zhirinovsky who used to be a strong supporter of Belarus-Russia cooperation now says that Russia does not have any brothers. The Russian President does not respond to such remarks. Why cannot he say that the Belarusians are more than brothers?” Alexander Lukashenko said. “When I criticize something about Russia, I do not mean Russian people. I criticize individual officials of the Russian Federation. They criticize me, too. This is a normal style of our relations,” the President said. Dmitry Medvedev has promised Alexander Lukashenko to speed up the work on the formation of the united air defense system, President of Belarus Alexander Lukashenko told media after the negotiations with his Russian counterpart Dmitry Medvedev in Sochi on 27 August. “In due time we signed an agreement with the Russian Federation on the creation of the united air defense system of Belarus and Russia. We agreed that the Belarusian Air Defense would play the major role in the western direction; hence it should be modernized and supported. Since the Belarusian army as the major unit of the Union State in the western direction, it needs to be supported as well, and, first of all, in terms of armament,” Alexander Lukashenko said. In his words, a decision to sign a protocol to the agreement on the united air defense system was taken by the Supreme State Council in February. “Further progress came to a standstill. I asked the Russian President to intensify the work and found complete understanding and support from his side,” the Belarusian head of state said. According to the President of Belarus, the two presidents discussed the whole range of issues related to the military and political cooperation in the post-Soviet space. Belarus will remain committed to all-round integration in the post-Soviet space, Alexander Lukashenko stressed. Presidents of Belarus and Russia are planning to meet three times more by the end of the year, President of Belarus Alexander Lukashenko told media after the negotiations with his Russian counterpart Dmitry Medvedev in Sochi on 27 August, BelTA has learnt from the presidential press service. According to Alexander Lukashenko, the two presidents agreed that Dmitry Medvedev would visit Belarus in September during the Belarusian-Russian joint exercise. It will be “a large-scale exercise despite the crisis”. Dmitry Medvedev will pay the second visit to Belarus in late October to attend the EurAsEC session. Then the two presidents will meet during a session of the Union State Supreme State Council in Moscow in early December. The two leaders agreed on the necessity to intensify mutual relations within the Union State of Belarus and Russia. “We have come to the point of discussing the efficient functioning of the Union State Permanent Committee. We need to consider some personnel issues as well as the activity of the Permanent Committee,” Alexander Lukashenko stated. He believes they will make some decisions on the issue by December. As far as the Eastern Partnership initiative is concerned, Belarus is attracted by the possibility of creating a free trade zone with the European Union. President of Belarus Alexander Lukashenko made the statement in an interview with the TV programme Formula of Power. It is a joint project run by the Russian news agency ITAR-TASS and the TV channel Russia, BelTA learnt from the press service of the Belarusian head of state. Speaking about Belarus’ participation in the Eastern Partnership initiative, Alexander Lukashenko remarked: “In the future (I don’t know whether it will happen or not but we are discussing it) we aim for the free trade zone. If we have a free trade zone with Europe, we will be twice as rich”. “If we have free trade with the technologically advanced West, with such a market, rich population, it will benefit us. Are my efforts in the Western direction worth it? They are,” said the President. Alexander Lukashenko believes that Russia’s leadership should not be so sensitive about Belarus’ participation in this European initiative. He underscored that the Eastern Partnership has no anti-Russia goals. Russia has been invited to take part in many projects. “Why is the Russian leadership so afraid of our talks with Europe? At present Belarus’ trade with the European Union is as big as that with Russia, even big. Trade with Europe accounts for about 45%. Billions of dollars! Do I have to put some political efforts into it? We cannot disregard the fact,” said the President. “At present Russians have no problems paying €35 for travels to the West. But the visa price we pay is €60. But we don’t feel ‘allergic’ about it and don’t make a ruckus over it. We do not diabolize your relations either with Europe or NATO,” added the head of state. The President underlined that Belarus needs to build normal relations with Europe. “We are not just a European country. We are the centre of Europe. It is the strategic country, the bridge between the East and the West, the bridge between the giant country, which is Russia, and the giant focus of power, which is the technologically advanced European Union,” he said. “We used to be able to freely talk to Poland, the Baltic states, Eastern Europe when they were independent and outside the European Union. At present they are members of the European Union and don’t make many decisions, especially economic, diplomatic, visa ones independently. Those decisions are made in Brussels. We have to protect the existing relations, provide the diplomatic support for them by conducting a dialogue with Brussels. It is an objective easy-to-understand point of view,” remarked the President. “Last but not the least, why do we have to quarrel with Baltic nations? Why do we have to quarrel with the Poles, the Ukrainians? They are our neighbours!” stressed Alexander Lukashenko. Belarus will take over the CSTO presidency and sign an agreement on the Collective Rapid Response Forces (CRRF), President of Belarus Alexander Lukashenko told media after the negotiations with his Russian counterpart Dmitry Medvedev in Sochi on 27 August, BelTA has learnt from the presidential press service. As far as the CRRF agreement is concerned, the Belarusian side has contributed a lot to the elaboration of this document, Alexander Lukashenko stressed. Belarus simply cannot refuse to sign the agreement. According to the President, Belarus will take on the CSTO presidency, “this process, however, needs to be legally supported”. “As we have not presided at the CSTO for half a year we have decided to take on another term of presidency in the Organisation. There are no problems here. It is a settled issue,” Alexander Lukashenko stated. According to the Belarusian head of state, the two presidents touched upon the issues of Belarus’ developing dialogue with Europe. “We will continue developing our relations with Europe, America as far as it is almost the same trade turnover as with Russia,” Alexander Lukashenko said. In his words, Dmitry Medvedev agreed that was the right path. “The geographic position of the country orients the leadership of the state to develop its cooperation with Europe. Belarus is a centre of Europe. These are the words of the Russian President,” Alexander Lukashenko said. 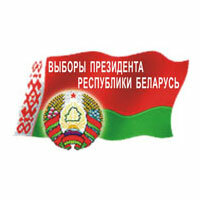 The Interior Ministry of Belarus intends to step up effort to identify potential abuse of the immigration and marriage laws, Gennady Bubnovich of the citizenship and migration department of the Belarusian Interior Ministry told a press conference on 28 August. “We plan to introduce some amendments to the existing laws. We need leverages to identify sham marriages with foreigners,” the Interior Ministry representative said. In his words, even when law enforcement agencies of Belarus present substantial evidence that spouses do not live together, the court throws out the case. Gennady Bubnovich did not specify what changes will be introduced. He noted that many countries carry out questionnaire survey of couples separately to identify the abuse of the marriage law. He explained that foreign nationals can stay in Belarus legally if wed to Belarusian citizens. “The legal status brings out a number of benefits, including allowances, loans, free education and healthcare,” he explained. Apart from that, a foreigner will have the right to bring their relatives to Belarus. Gennady Bubnovich informed reporters that in case the immigration services doubt the legitimacy of marriage, they grant a foreigner a one-year permit to stay in Belarus. During this period the relevant investigation is carried out. If marriage proves to be bogus, the residence permit is annulled. The Customs Union will help remove barriers in Belarus-Kazakhstan trade and economic cooperation, Sergei Chepurko, head of the Molservis company of the Kyzylzhar district of the North Kazakhstan region, told journalists on 27 August. Sergei Chepurko said that the existing customs clearance hinders the development of Belarus-Kazakhstan economic ties. “We are looking forward to the establishment of the Customs Union, which will enable us to make our cooperation more effective. We are a transparent company and we want to cooperate with the Belarusian partners without third parties. The scheme is simple: we transfer money to Belarusian companies and in turn they deliver their production to us. The most important thing is that there should be no customs impediments in this process,” the head of Molservis said. According to him, Belarus and Kazakhstan should maintain closer cooperation and share experience. The two countries have strong agricultural sectors, but the conditions are different. Belarus’ priority areas are milk and meat cattle breeding due to the well developed fodder base. Kazakhstan has problems with fodder for cattle industry, therefore it cultivates grain crops. For instance, Molservis purchases dried milk in Belarus. The company needs 120 tonnes of dried milk a year. Belarus supplies around 40 tonnes. Sergei Chepurko noted that the quality of Belarusian dried milk is highly praised by Kazakhstan consumers. The company’s designed milk processing capacity is 5,200 tonnes annually. The company produces more than 20 kinds of sterilized milk products. In Petropavlovsk alone the company supplies its dairy products to 400 out of 650 local dairy stores. A delegation of the North Kazakhstan region led by governor (akim) Serik Bilyalov is planning to visit Belarus in autumn 2009 to develop all-round cooperation, Serik Bilyalov told journalists on 27 August. The governor noted that the North Kazakhstan region is interested in extending ties with Belarus in milk and meat processing, agricultural machine building. In particular the Kazakhstan region is planning to create a joint production of harvesters with Belarus. Kazakhstan specialists note that Belarusian machines are in high demand in the Kazakhstan market. Serik Bilyalov said that “the North Kazakhstan oblast has just started establishing mutual cooperation”. During the visit to Minsk the delegation will consider possible areas of cooperation. The delegation of the North Kazakhstan region will include representatives of agricultural and processing enterprises, health and education establishments, etc. An international symposium Modern Musicology in the World of Science will take place in Minsk on 29 August – 4 September, BelTA learnt from pro-rector in science of the Belarusian State Academy of Music Ekaterina Dulova. Attending the forum will be art critics from 14 countries: Belarus, Russia, Ukraine, Lithuania, Poland, Germany, Austria, France, Belgium, Italy, Great Britain, Switzerland, Israel and the USA. The participants will discuss actual problems and analyze scientific approaches towards the study of musical culture from the point of view of modern historical and systematic musicology and ethnomusicology. 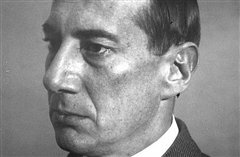 The programme of the symposium includes such sections as Shostakovich and His Contemporaries, Stravinsky: Between East and West, a presentation of the topic titled “Complete Editions of Composers: the most important publishing projects”. A plenary session will highlight the issue of Ethnomusicology of the 21st Century: Historical and Ethnic Aspects of Traditional Musical Cultures. Guests and participants of the symposium will be able to make a tour of the National Library of Belarus where the forum will open on 1 September. The following sessions will take place in the Concert Hall of the Belarusian State Academy of Music on 2-4 September. The international symposium has been organized by the Culture Ministry, the Belarusian State Academy of Music and the International Musicology Society. The Economy Ministry of Belarus projects the GDP growth at the level of 1-2% in 2009, Vladimir Dernovoi, Head of the Central Industry, Transport and Communication Department of the Belarusian Economy Ministry, told media on 28 August. “It is important that the industry should meet 100% index of industrial production during a year. In that way we secure a 1-2% GDP growth. The analysis of the performance of the real production sector in January-July 2009 shows that on the one hand there are some problems as the industrial output fell 3.9% over January-July 2008. on the other hand, the situation is manageable and predictable,” Vladimir Dernovoi said. According to Vladimir Dernovoi, the decline in production has slowed down. In January-May the industrial output grew to 96.6%; only 0.5% down over the past months. Just to compare: the production in Russia has dropped by 15% and in Ukraine by 30%. In January-July 2009 the growth slowdown was registered in six out of nine main industrial sectors which account for nearly 43% of the total industrial output. The growth was reported only by fuel and chemical industries (13.1% and 32.4% over January-July 2008 respectively). Around 90 projects will be presented at the Minsk Oblast Investment Forum which will be held in Dzerzhinsk on 17 September, Zhanna Birich, head of the economy department of the Minsk Oblast Executive Committee, told a press conference on 28 August. Some 33 projects of them deal with industry, 8 projects deal with agriculture, 3 – transport, 8 – construction. The Minsk oblast is in need of production facilities which will produce construction materials. So, the region will offer sites to construct such facilities to potential investors. The Minsk oblast has a big tourist potential. Some 29 projects deal with the construction of sport and tourist centres, hotels and cafes. The Minsk oblast would like to attract investments to construct 14 logistics centres. According to Zhanna Birich, the Minsk oblast is one of the leading regions of the country. Weekly, the Minsk Oblast Executive Committee holds meetings with the businessmen who are interested in purchasing vacant construction sites and real estate. “We hope that the forum will give a powerful impetus to the innovation development of the region,” Zhanna Birich added. Taking part in the forum will be officials of the Economy Ministry, the Belarus State Property Committee, Belarusian banks and research institutes. Delegations from Ukraine, Russia, Poland, Latvia, Lithuania, Iran, Germany and other countries are expected to attend the forum as well. The forum will include various exhibitions, presentations, seminars and roundtables. A number of agreements are supposed to be signed within the framework of the Minsk Oblast Investment Forum. For instance, one of the Russian companies intends to buy the Uzda Clothes Factory. Some Polish investors show their interest in purchasing land plots in the region. According to specialists, the website of the Minsk Oblast Executive Committee provides information about investment projects, real estates for rent and sale. These projects include the technological re-equipment of the Slutsk Flax-Processing Plant, the production of turbine-driven compressors and pneumatic compressors at the Borisov Aggregate Plant, the production of solid dosage forms at the Borisov Pharmaceutical Plant, the construction of a biogas plant at the Molodechno Dairy, the creation of joint companies in the field of wood-working, agriculture and food industry. A number of investment projects are expected to be implemented at canning factories of the Minsk oblast. The only important decision taken at Thursday's meeting between Russian President Dmitry Medvedev and Belarusian President Alexander Lukashenko in Russia's Black Sea resort of Sochi was to meet again. "This is better than nothing," Sergei Musiyenko, a member of the Public Council under the Belarusian President, said when commenting on the results of the first Russian-Belarusian summit after the "dairy war." But analysts do not expect any breakthroughs in key areas of bilateral relations. Since the two presidents last met in April, there have been many events in the relations between Moscow and Minsk that do not fit the image of sisterly republics building a Union State. The "dairy war" between Russia and Belarus that began in early June soon grew into a political conflict, encouraging Lukashenko to turn towards the West again. He welcomed a delegation of EU officials and U.S. congressmen in Minsk but refused to attend the Moscow summit of the Collective Security Treaty Organization held to sign a treaty on the establishment of the Collective Rapid Reaction Force. The CSTO comprises Armenia, Belarus, Kazakhstan, Kyrgyzstan, Russia, Uzbekistan and Tajikistan. Russian political analyst Kirill Koktysh, a member of the Association of Political Experts and Consultants, said the two presidents could not be expected to settle all the differences between their countries in a few hours. "Improvements in Russian-Belarusian relations are likely, but strategic breakthrough achievements are not," he said. "Moscow and Minsk have different interests." Russia is working to complete the second leg of the Baltic Pipeline System, bypassing Belarus in order to reduce its dependence on the transit country. Belarus has joined the EU Eastern Partnership, which will make transit deliveries dependent on other countries. "In the past, these plans were only on paper, but they are now being implemented," Koktysh said. He is confident, however, that bilateral relations will not deteriorate much, because Russia does not want to lose Belarus. Military cooperation is the sphere where the two countries' cooperation is closest. 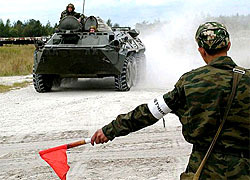 They have agreed to hold joint West 2009 war games in late September. Medvedev and Lukashenko will meet in Belarus on September 29 to watch them. Belarusian political analyst Yury Shevtsov said the Belarusian decision to proceed with the exercise had complicated its relations with the West, but this situation is creating the conditions to strengthen relations with Russia. Visiting Chinese Vice Premier Hui Liangyu met with Belarusian Prime Minister Sergei Sidorsky here Friday to cement ties between the two countries. Hui, who was on a stop-over trip to Belarus, conveyed Chinese Premier Wen Jiabao's good wishes to the Belarusian leader. During the meeting, Hui said that China and Belarus have always been respecting, supportive and trusting partners. The friendly cooperative relations between the two countries have stood the test of time and changing situations, and such relations have been developing smoothly. Hui stressed that China sees Belarus as a trusted friend and partner. China is willing to maintain high-level contacts with Belarus and continue to deepen political trust. He called on both sides to carry out the important understandings previously reached by leaders of the two countries, and strengthen economic, trade, agricultural and cultural exchanges. Particularly, more substantive efforts are needed in Sino-Belarusian cooperation in major projects of telecommunications, electric supply and infrastructure so as to elevate bilateral relations to a new level, Hui said. Sidorsky said the Belarusian side thinks highly of China's role in promoting world peace and development. He expressed gratitude to China's assistance to Belarusian economic development. Developing friendly relations with China was one of the priorities of the Belarusian diplomatic efforts, Sidorsky said, and his country will continue its firm support to China in matters concerning China's significant and core interests. He said he hoped to further enhance coordination and cooperation with China in various fields. Hui, who has visited Slovenia, will continue his trip to Lithuania, Latvia and Switzerland, where he is scheduled to attend the third World Climate Conference from Aug. 31 to Sept. 4. The International Monetary Fund, in Belarus to assess the government's progress as part of its $3.5 billion loan programme, said on Friday Minsk should cut down on state lending to reduce imports and shore up banks. The economy of Belarus is still largely in state hands, a legacy of the Soviet era which Minsk has been slow to change. Traditionally, the government stimulates economic growth through state bank lending to industries. "Strict limits should be introduced on credits given within state programmes. This would not only lead to lower demand for imports but also enable more effective controls of banks' risks," the IMF said in a report summing up its findings. Four state-controlled banks hold over 50 percent of banking sector assets. Economic growth has averaged between 7.5-10 percent annually in recent years but has slowed to 0.3 percent in the first six months of this year. The economic crisis in Belarus stems from a sharp fall in its exports as demand from Russia and the EU drops. That boosted the trade gap in the first half of this year to $3.9 billion from $2.2 billion last year. That in turn has pressured the Belarussian rouble, which the government had already devalued by 20 percent at the start of the year. Minsk has received $1.5 billion from the IMF and should get an answer about a third tranche worth about $680 million by next Wednesday. Russia has also lent Belarus $1.5 billion. Despite that, however, central bank reserves have fallen to $3.6 billion at the start of August from a record of $5.7 billion a year ago. "The stimulation of domestic demand threatens the aim of reducing external vulnerabilities through the building up of foreign reserves," the IMF said. The IMF said the economy needed deep structural reforms if strong growth was to continue as some favourable conditions -- such as cheap Russian energy -- are no longer on offer. It has said Minsk should start the privatisation process. "A number of external detrimental factors could prevent a return to the same pre-crisis growth dynamics ... Given those factors, the potential long-term growth in Belarus could be 2-3 percent lower than seen in the past 10 years," the IMF said. "Belarus could only win if it carries out market-orientated reforms ... Significant state interference in the economy should be reduced." In a related story, Navany tells us that The International Monetary Fund (IMF) has also called for delaying an increase in wages in the government-funded sector in Belarus. A statement issued by an IMF mission that held consultations in Minsk earlier this month said that “the authorities’ commitment to a balanced budget in 2009 has been an important source of strength for the economic program.” “To realize this target, the government needs to closely monitor the collection of revenue in an environment of lower income, profits, consumption, and trade activity. It would be advisable to defer a public wage increase, while providing targeted social assistance to shield the poorest from the impact of the crisis,” the statement read. The statement called for a “prudent” fiscal policy next year, which it says is key to consolidating macroeconomic stability. “Tax reforms envisaged in 2009, which would help reduce distortions in the system, need to be followed through. In the meantime, utility tariffs should be raised toward cost recovery level, and social assistance reform completed,” the statement said. The IMF experts suggest that efforts to provide social security “can help reduce the negative impact of, and sustain popular support for the structural reforms.” “A social safety net can be established to give subsistence and vocational assistance to the temporary dislocated labor force, until they are re-absorbed by the labor market. Privatization proceeds and fiscal savings from reduced subsidies to inefficient production can help finance the safety net,” the mission said. The experts criticized the government for increasing lending, often at subsidized rates, to the economy in the first seven months of this year. “In addition to crowding out normal commercial credit and imposing fiscal costs, the lending programs boosted domestic demand, which increased the trade deficit and has led to loss of reserves in recent weeks. These lending programs need to be curtailed and the resulting changes reflected in the government programs under which they take place, to alleviate reserve losses,” the statement said. The Belarusian ruler discussed the milk conflict, agreed to hold CSTO chairmanship and sign the agreement on the Collective Rapid Response Forces at an unofficial meeting with Dmitry Medvedev in Sochi. Alyaksandr Lukashenka told journalists after the meeting with Dmitry Medvedev on August 27 that he had never had such a sincere and frank conversation with the Russian president. The talks took more than three hours, BelaPAN reports referring to the press service of the Belarusian ruler. “The period of our relations with Russia that we had will never repeat,” the Belarusian ruler said. “We feel great responsibility as never before, we feel that the Russians and Belarusians are practically one nation, we have nothing to divide, history placed everything in frames and we have to act in this context. I emphasize again: I don’t hope, I am convinced that we won’t have such sharp, unprofitable aggravations. Neither the Russians nor we win nothing from these aggravations,” he said. Lukashenka also confirmed that they spoke about oil duties, loans and the milk war during the meeting with Medvedev. He said Russia would open a credit line for constructing a nuclear power plant in Belarus. “We reached an agreement in principle that the Russian Federation would credit this project. We are discussing the final sum of the loan, we arranged that Russia would open the credit line in 2010,” the Belarusian ruler said. According to him, the infrastructure for the nuclear plant near Astravets (the Hrodna region) is being created. “We’ll start constriction activities from January 1, 2010,” Lukashenka added. “We also discussed the milk problems we had,” Lukashenka noted. According to him, it is necessary to settle the issue regarding quotas to avoid any conflicts in the future. “There should not be quotas, duties or something else in our relations. We are forming the Customs Union. We should not have such problems at all,” he thinks. “We arranged that our governments would have negotiations in September to solve these problems. The Russian president promised this. So, the prime ministers will receive instructions today,” Lukashenka said. Lukashenka noted it as arranged during the meeting that the Russian president would visit Belarus in September during the joint Belarusian-Russian military exercises, which would be “the most large-scale in spite of the crisis”. “This is a Belarusian-Russian western grouping mainly consisting of the Belarusian army. The exercises will focus on operation of this grouping: how effective it is, how it can defend our western borders,” Lukashenka said. “He is to visit us in late November for the second time to attend the EurAsEC session. We’ll have the third meeting in early December at the session of the Supreme Council of the Union State in Moscow,” Lukashenka added. Lukashenka also said he was ready to head the CSTO and join the Collective Rapid Response Forces (CRRF). “What to the CRRF, it is widely discussed today that Belarus and Uzbekistan are against the collective forces. But I reminded the president of Russia that the Russians and we had initiated this issue. Our experts took active part in working out issues on the Collective Rapid Response Forces. So, Belarus can’t but adopt this document,” Lukashenka said. According to him, “another complex issue regarding the CSTO is chairmanship of Belarus”. “Why should we refuse if we are offered this honourable mission? We haven’t hold chairmanship for 6 months, so we decided to take over this post for the next term. We will head the CSTO and we need to establish this process formally. We may compose an application for taking on the chairmanship. This matter is not a problem, it is a far-fetched issue,” Lukashenka said. Continuing the CSTO theme, the Belarusian ruler reminded that Belarus had signed an agreement with Russia on formatting joint air defense system. “We have clear arrangements that the Belarusian air defence forces have main role on the western direction in the joint air defence system. The Belarusian air defence system needs modernization and support. If our army plays the main role in defending the western direction of the union state, it should be supported, first of all, with arms,” Lukashenka said. We remind that s the Agreement on CRRF creation was signed on June 14 in Moscow at the session of the Collective Security Council by five state leaders. The Belarusian delegation refused to take part in the summit due to the “milk war” with Russia. The president of Uzbekistan didn’t sign the agreement as well. Independent experts say the CRRF is created to suppress rallies of democratic opposition in the member-states of the Collective Security Treaty Organization. Alyaksandr Lukashenka said the results of the presidential elections 2006 were rigged. Commenting on this Lukashenka’s statement, Lidziya Yarmoshyna, the head of the Central Commission on Elections and Referendums, said she didn’t know about the rigging. “The Central Election Commission didn’t have any orders and declared the data it had from official sources. They comply with the protocols of the elections commissions in Minsk and the regions,” Yarmoshyna said. The CEC head supposed Lukashenka’s statement was based on “preliminary data he had had”. “There are so called closed voting stations – hospitals and military units – where the results are available earlier. Vote counting there begins at noon,” Yarmoshyna explained. The first time when Lukashenka said about the rigged presidential elections was November 2006 in Minsk at a press conference for Ukrainian journalists. On Aug. 17, a blast at the police headquarters in Nazran, the capital of Ingushetia, killed 25 people and wounded 280. A period of calm has ended in Ingushetia, Chechnya and Dagestan. Just a year ago, Russian authorities were so proud of their success at bringing order to the north Caucasus that they made Chechnya a stop for the Valdai Discussion Club, the handpicked group of Western analysts flown to Russia every year to hobnob with top officials. Two busloads of writers and academics were shuttled to the gigantic mosque built by President Ramzan A. Kadyrov in memory of his father, granted a wide-ranging interview with Mr. Kadyrov and allowed to stroll down the repaved, repainted and rebuilt streets of Grozny, the Chechen capital. Even the skeptics among them left impressed: calm, it seemed, had returned to Russia’s crucible of violence. That case is difficult to make after the summer of 2009. Explosions and shootings have been a daily occurrence in the region all summer. Between June and August, 436 people have been killed, compared with 150 during the same months in 2008. And the number of attacks jumped to 452 from 265, according to statistics compiled by the Center for Strategic and International Studies, a private research group based in Washington. The numbers do not fully capture what has happened. High-ranking officials have been strafed with machine-gun fire, targeted by snipers as they strolled out of restaurants or rammed with cars packed with explosives. A prominent human rights worker was snatched outside her apartment, killed and left on a roadside. 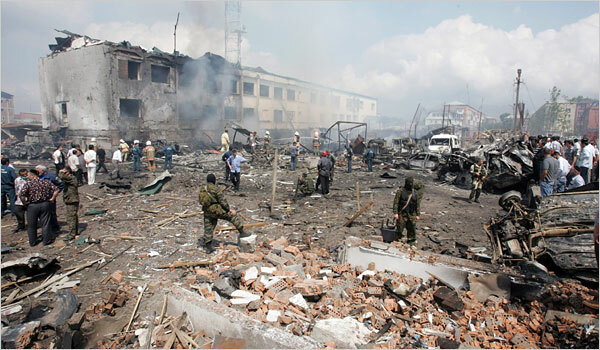 And suicide bombings, ominously, have returned to Chechnya after a pause of several years. Two militants blew themselves up Friday morning to escape capture, making it a total of three suicide bombings in the region in just the past week. For years, the Kremlin’s strategy in the Caucasus has hinged on Mr. Kadyrov, with Moscow giving him free rein to crush signs of rebellion in the region. Mr. Kadyrov, a former separatist himself, transformed his corps of fighters into a brutal internal police force. Human rights organizations documented his government’s use of torture, intimidation and extrajudicial killing, but even liberals had to admit that he had been effective at quelling the violence. Now, Mr. Kadyrov’s grip on Chechnya looks far weaker, leaving Moscow with a choice about whether to stick with a deeply flawed policy or risk a change of course. A year ago, and as Mr. Kadyrov pressed for more autonomy from Moscow, it appeared that the Kremlin was testing an alternative style of leadership in neighboring Ingushetia. One of Dmitri A. Medvedev’s early acts as president of Russia was to remove Ingushetia’s despised president and replace him with Yunus-Bek Yevkurov, a former military intelligence officer. Mr. Yevkurov set about gaining the trust of Ingushetia’s population, firing officials for corruption and reaching out to dissidents and rights activists. Then, on June 22, a suicide bomber swerved into Mr. Yevkurov’s motorcade, releasing a blast so powerful that the president’s car flew off the road and into a brick wall. Mr. Yevkurov, gravely wounded, was evacuated to Moscow and spent most of the summer recovering. With him went the hopes that the Kremlin was ready to embrace a softer approach, said Aleksei V. Malashenko, a Caucasus specialist at the Carnegie Moscow Center. Then on Aug. 17, a truck full of explosives barreled into police headquarters in a heavily populated part of Nazran, the Ingush capital, killing 25 people and wounding 280. The drumbeat of suicide attacks that have followed are a reminder of the days when rebels made theatergoers and schoolchildren hostages to their rage against Russia, and they are evidence that, despite his assurances, Mr. Kadyrov has not stamped out the insurgency. Mr. Kadyrov blames Wahhabis and other Islamic extremists for the attacks and has repeatedly charged that they are financed and trained by Western countries. He said on Friday that a collaboration between the police, the Federal Security Service and local clergy could prevent young Caucasian men from turning to religious extremism. But in other quarters, scrutiny is falling on Mr. Kadyrov’s government and social problems like poverty, unemployment and corruption. The son of a notorious CIA double-agent jailed in 1997 for spying for Russia has also pleaded guilty to espionage charges, the US Department of Justice said. Nathaniel Nicholson, 25, appeared Thursday before District Judge Anna Brown and pleaded guilty to conspiracy to act as an agent of a foreign government and conspiracy to commit money laundering, a statement said. Harold Nicholson, 58, the highest-ranking CIA officer ever convicted of spying, was jailed in 1997 and is serving a 23-year prison sentence. He must also answer the latest conspiracy charges but has pleaded not guilty. The younger Nicholson faces more than 20 years in jail for crimes that date back to 2006-2008. Prosecutors at the trial in Portland, Orgegon said the younger Nicholson had been recruited and trained by his father to travel the globe to collect on past spying debts and channel information to foreign agents. Brown set a date for a sentencing hearing on January 25, 2010. Just ahead of 70th anniversary ceremonies to be held in Gdansk commemorating the start of WW II, Russia has made more allegations of cooperation between Poland and Nazi Germany. On the eve of Prime Minister Putin’s visit to Poland for the anniversary of the outbreak of WW II, the Russian Intelligence Service (SVR) is claiming that Poland’s pre-war Foreign Minister, Jozef Beck (right) was a German agent. They also claim hat Stanislaw Mikolajczyk, who served as Prime Minister of the Polish government-in-exile 1943 and 1944, worked for British intelligence. The allegations, made on the Russian intelligence web site, comes after a documentary was shown last weekend on state TV in Moscow claiming that Poland had made pacts with Nazi Germany in 1943, which planned an invasion of the Soviet Union. The documentary also noted that Poland’s then Foreign Minister Beck had a photo of Hitler in his office in Warsaw. The SWR also says it will declassify documents on August 31, which it alleges shows Poland's allegedly aggressive intentions towards the Soviet Union in the run up to WW II. In a television interview, Polish deputy foreign minister Jacek Najder spoke of the"‘indignation" with which the publication has been received in Poland. He said that, in the context of Mr Putin’s visit, the intention behind the allegations of the Russian Intelligence is "absolutely incomprehensible". Professor Jan Malicki of Warsaw University’s Eastern European Studies Centre says that by claiming Poland collaborated with Nazi Germany the Kremlin is testing how far it can go in its propaganda activities. Russia analyst Krystyna Kurczab-Redlich told the Polish Press Agency (PAP) that Moscow’s propaganda attacks on Poland are aimed at strengthening Putin’s position domestically, which is built upon hostility towards other nations. In her view, once this week’s war anniversary events are over, Poland’s members of the European Parliament and diplomats should launch a campaign to explain to the West the true nature of Putin’s policy towards Poland. According to a public opinion survey, three in every four Poles would like to hear words of regret from Prime Minister Putin about the Soviet Army’s invasion of Poland on 17 September 1939. Vladimir Putin and German Chancellor Angela Merkel will be among the speakers during the commemoration ceremony in Gdansk on 1 September. The Russian Prime Minister will also hold a face-to-face meeting with Polish Prime Minister Donald Tusk in what will now be difficult talks. Another referee and soccer coach from the south eastern city of Lublin have been detained in connection with a wide-ranging corruption scandal within Polish football. This bring the number of those charged with match fixing to 260 with 100 officials, players and managers in police detention. The investigation into corruption has been underway since May 2005. The accusations of fixing matches have been presented against referees, coaches, players, officials and members of the Polish Football Association. The charges concern games in the Ekstraklasa – Poland’s top division - as well as lower divisions. Among the suspects are many well known footballers, including a former national team coach, Janusz W and a top referee, Grzegorz G.
So far only a few people have been sentenced. In April 2009 the former chairman of the Arka Gdynia team, Jacek Milewski was sentenced to four years in prison and Ryszard Forbrich, alias Fryzjer (hairdresser - a member of the Polish Football Association - to three and a half years. Both the Central Anticorruption Bureau and the Prosecutors Office are continuing their investigations and do not expect the two most recent detentions to be the last. Surrogate mother Wioletta Wozna says she was sterilized without her consent while undergoing a Caesarean section and are pressing charges against the hospital near Poznan, western Poland. The surrogate mother, who attracted widespread media interest during her battle to keep the child she gave birth to, claims that she was sterilized in hospital without her knowledge or consent. Wozna alleges that she found out that she will no longer be able to bear children when she returned home and read over the documents from the hospital. Wioletta and her lawyer have pressed criminal charges against the hospital. “In the medical documents that my client received, there is nothing to confirm [Wioletta’s] consent for such treatment,” claims her lawyer, Malgorzata Heller-Kaczmarska. The hospital refutes the charges but does confirm that the sterilization procedure took place. “The uterus was damaged and could rupture with another pregnancy,” said Elzbieta Nosek, responsible for the gynecological department at the Szamotuly hospital in western Poland. “We could not ask the patient for her consent because she was anesthetized. It would be necessary to wait for the drugs to wear off and then carry out a second operation,” added Nosek. The surgeon, Barbara Kaczmarek, claims that it was an extremely difficult birth. “It cost a lot in terms of health. I was happy that a mother of eight survived whole and healthy,” states Kaczmarek, who told the daily Gazeta Wyborcza that the operating team informed Wozna of the sterilization after the fact. Ewa Kopacz, Minister of Health, is awaiting an investigation by the District Attourney’s office, but stated Friday morning that doctors are required to follow a strict code of ethics and also work according to the law. A situation where a doctor is required to go beyond a patient’s consent is only acceptable if the patient’s life is in danger – and only then, such a decision can be made following consultation with a second doctor. “We decide about our own freedoms. No one has the right to violate one’s freedoms and no one can replace God in this situation,” stated Kopacz. Wioletta Wozna has become a media sensation in Poland, having signed a contract to carry a child to term for a couple unable to bear children. She then changed her mind and decided to keep the baby. A legal battle has ensued. Fourteen Nepalese musicians taking part in an international folk competition in Poland disappeared in a car, presumably heading for Germany, without playing a note. Folk ensembles from Poland, Spain and Hungary have won awards at the International Highland Folk Festival in the Tatra resort of Zakopane, which attracted groups from sixteen countries, including also France, Norway, Indonesia and Nepal. The Nepalese group that caused the biggest sensation in Zakopane, southern Poland, though not for artistic reasons. When the group’s performance started, the jury was amazed to see ten people on the concert platform instead of twenty four. It turned out that the 14 musicians left for Germany in a car with their compatriots living in that country. Polish highlanders say they are not shocked by the incident, recalling that during communist times groups of Polish artists often took the opportunity of tours to Western Europe or the United States to seek political asylum. Their only regret was that the Nepalese should proceed with their escape until after the performance of the whole 24-strong group. EVERTON will face the real Tractor Boys in the group stage of the Europa League. David Moyes’ side have been drawn against BATE Borisov of Belarus in Group I, along with Portuguese giants Benfica and AEK Athens. BATE stands for the ‘Borisov Works of Automobile and Tractor Electric Equipment’. The club showed up well in last season’s Champions League, drawing home and away with Juventus. Everton boss David Moyes said: “I’m happy enough with the draw and I’m pleased to be in it. Fulham, the other Premier League side in the competition, will play Roma, Basle and CSKA Sofia in Group E.
And Cottagers boss Roy Hodgson has challenged his squad players to step up to the mark. Fulham’s Bjorn Helge Riise could face his brother John Arne, who now plays for Roma. Hodgson said: “We have one Riise brother and Roma have the other, so it will be an interesting tie for us. “We know Roma and Basle will be the favourites to go through but we have a good chance to give a good account of ourselves. “We have a big squad now and I will be looking for players to step up when asked to. 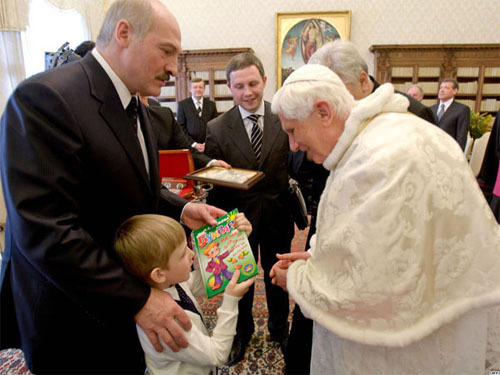 Belarusian President Alexander Lukashenko has said that Pope Benedict XI was moved to tears by the sight of his five-year-old son, Kolya. The existence of Kolya, Lukashenko's third son, was a secret until 2007. Since then, the Belarusian leader has often taken the boy, whom he has referred to as his "heir", on official trips. Kolya was also photographed with his father in the uniform of the commander-in-chief of the Armed Forces of Belarus at Russia-Belarus military exercises in late 2008. "I went to see the pope," Lukashenko, 54, in Russia for talks with Russian President Dmitry Medvedev, told the Izvestiya paper. "It's unheard of for a child to be there, but I'd already brought him along, and I said, 'wait in the corridor.'" "When my talk with the pope was over, he asked me if I could bring my child in," Lukashenko went on. "The boy came in, and how that man, that elderly man who never sees children, changed. There were tears in his eyes. He stroked Kolya's head, but Kolya doesn't like that, he only likes it when I stroke his head, and I could see that he was getting angry, but I said to him 'put up with it.'" Lukashenko, who has ruled the former Soviet republic since 1994, also said that he had no choice but to take Kolya with him on state business. "To be honest, if I am not at home, he doesn't sleep or eat. He's attached to me like a tail. I'm forced to take him on foreign visits because he won't sleep if I do, he'll wear himself out. But with me in the plane, he sleeps and he eats." The Belarusian leader, once called "Europe's last dictator" by Washington, also admitted however that Kolya sometimes caused problems at meetings with heads of state. "I tell him, 'Kolya, sit next to me, not on my lap, but he says 'no, I want to sit with you, on your lap. You're my dad, and I want to sit with you, on your lap.' What can I do when there are journalists, film crews all around?" Lukashenko asked. "I say 'OK, sit on my lap, then.'" Lukashenko has two other sons, Viktor and Dmitry, with his wife, from whom he lives separately. However, the identity of Kolya's mother has never been made public. 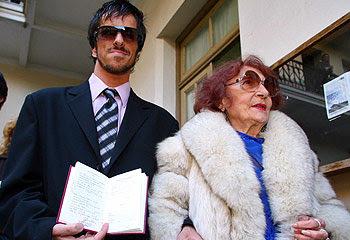 Media reports have speculated that Kolya's mother is his former personal doctor. "How many children are there, illegitimate children, in Russia and Belarus? And how many abandoned children are there?" the Belarusian president continued. "Let this be a lesson. No matter what happens in life, if you have a child, the circumstances of his or her birth are not important." "As [Russian Prime Minister] Vladimir Putin said, 'This [a child] is from God.' What am I going to do, hide from God? People say to me, I'm sorry to be so immodest, that there are very few fathers like me." "Kolya is only five years old, still only five, but he understands everything," Lukashenko boasted. "That's why, you know, to be blunt, he is my talisman, my everything."